I’ve never been a big fan of salespeople which could be because my father was one of them. He never brought any of that sales charm I’d often heard he had because I guess he left it at work. Nevertheless, lately, I’ve felt compelled to write about some sales folks who without their help I couldn’t have been very successful. They helped me do some very big promotions that I had no budget for by finding the money I needed to do them. However, now I would like to switch gears and salute the guy who created the best contest/promotion I’ve ever heard on the radio. I the legendary met Jack McCoy (pictured above with me) in the winter of ’72 when I traveled from Toronto to San Diego to buy his “Last Contest.” (for a taste of how it sounded, click on the link at the bottom of the page) Upon my arrival in beautiful San Diego, I had to call the front desk of the hotel I was staying at on Mission Beach to ask where the air conditioning was. Coming out of Toronto in the middle of winter and suddenly experiencing summer-like conditions was quite a shock to my system so when the desk person told me to simply open the sliding glass doors and let God do the rest, I remember thinking, “Why the hell am I not living here”? It took me ten more years to accomplish that task, but eventually, I did live in San Diego which still is the best place in the world to live even though you can’t afford to do so. When I met up with Jack the next morning, it was at the old KCBQ studios; he was dressed like Clint Eastwood from the movie “The Good The Bad And The Ugly” although he had a meaner voice. After using that voice to explain to me what the secret of the “Last Contest” was, I realized that I had my work cut out for me. I had to come up with a way to give away a car and an airplane in a country where the CRTC only allowed radio stations to give away $5000.00 worth of prizes a month. However, I finally did find a way to do it but what that was, has to remain a secret just in case I have to use it again. Although now I hear that if the programmers back in Canada had five thousand a month to give away today, they’d be elated. The thing about Jack McCoy that has always blown me away is his ability to ad-lib promos. (he claims that its the music that writes the promo for him) When we got together that first day, he interviewed out of me what our station was about and what was unique about Toronto. He then laid down some brilliant promos, but the weird part was that he didn’t use a script. Later when I was told that not only had Jack ad-libbed about 300 prize package promos on KCBQ for the “Last Contest,” he did them all in one take and they only ran once, I didn’t and couldn’t believe it. When I moved to America a couple of years later Jack and I became good friends which I took advantage of by having him cut me a ton of promos, I got to witness first hand his ad-libbing ability and of course like Sinatra, he did them all in one take. Even though Jack explained in great detail to me exactly how the “Last Contest” worked that first day, I, of course, knew better. Jack’s version on KCBQ only lasted a total of 13 days which was so exciting and went by so quickly that everybody who lived in San Diego then, still thinks that KCBQ gave away all the prizes. I like a fool thought more is better, so I ran it for a month, color me stupid. HERE ARE A FEW OTHER THINGS TO PONDER BEFORE LISTENING TO THE LAST CONTEST LINK BELOW. Could it be true as rumored that the Broward County School Board entered into an agreement with Broward County Law Enforcement officials to cut a way back on arresting students? The rumor is that this was done so that they could receive more federal funding. Is it also true that killer Cruz benefited more than once from this agreement? I’m pretty sure I would rather my kids have the health care plan Obama’s on now rather than the one he left behind. As my former girlfriend, the “Hunny Bunny” once told me, “All bartenders are thieves. All you can do is hire the ones you think will steal the least.” Kinda reminds me of politicians. If Trump was really like Hitler, wouldn’t he be trying to confiscate guns instead of protecting them? My parents who had a lot less freedom than we do were also a lot safer. As we move closer and closer to an electrical world, we don’t have to worry about the power companies gouging us right? Who won the war on drugs? If you’re done changing, you’re done. If it doesn’t come with jail time, by all means, do it! Worrying about all your missed opportunities prevents you from taking advantage of those you didn’t. If what you do doesn’t frighten you, you’re not living up to your full potential. Just because you can’t see it doesn’t mean it doesn’t exist. Even if you’re a self-made millionaire, you owe somebody somewhere something. Criticising the work of others doesn’t improve yours in the least. As difficult as it is to make yourself happy, it’s impossible for others to do it for you. Hey, the Winnipeg Jets are in the playoffs. Go Jets! 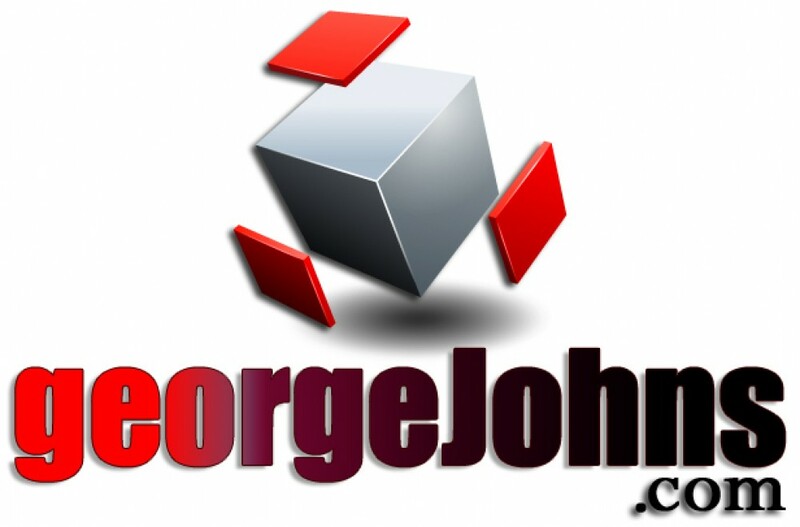 Sneak peeks at Blogs under construction @ GeorgeJohns.com. On Twitter @GeoOfTheRadio. IT WAS A BRILLIANT CONCEPT! BRILLIANTLY EXECUTED!